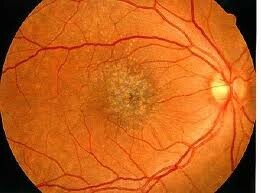 Retinitis pigmentosa (RP) is a name for a large group of inherited vision disorders that cause progressive degeneration of the light sensitive membrane that coats the inside of the eye -- the retina. For most people with RP, night blindness is the first symptom of the problem. Then side vision goes, resulting in tunnel vision and, eventually, central vision deteriorates. Complete blindness, though uncommon, can occur. Retinitis pigmentosa has long been declared an "incurable" disease by mainstream medicine, although several studies over the past two decades have shown that vitamin A may slow down RP's progression. However, many doctors balk at prescribing high dose vitamin A because they fear it will result in liver problems. But a report just presented at the recent Scientific Program of the 2010 American Academy of Ophthalmology (AAO) and Middle East-Africa Council of Ophthalmology (MEACO) Joint Meeting held in Chicago has provided new hope for RP sufferers. Researchers have found that the nutrient beta carotene (found abundantly in yellow and orange foods such as carrots and sweet potatoes), which does not carry the liver risks associated with high doses of vitamin A, can improve vision in some people with supposedly incurable RP. Last year, Dr.Ygal Rotenstreich of the Sheba Medical Center's Goldschleger Eye Research Institute in Tel Hashomer, Israel, published a study in the British Journal of Opthalmology showing that a specific form of the nutrient beta carotene, dubbed 9-cis, was effective in treating people with the eye disease retinal dystrophy which causes night blindness. Because RP usually usually begins in childhood with the first signs of night blindness, Dr. Rotenstreich and his research team decided to see if 9-cis could be helpful in retinitis pigmentosa, too. And it was. In their recent study, one third of the 29 participating RP patients showed marked improvement in visual function while taking the prescribed oral dose of the beta carotene for only 90 days. It will take more research to find out if longer treatment would provide even more effective therapy for RP. "We recommend repeating the study with patients with the genetic forms of RP that would be most likely to respond to oral beta carotene," Dr. Rotenstreich said in a press statement. "We know its positive effect is associated with retinoid cycle defect, which is involved in some but not all forms of RP. Also, future research should look for the optimal beta carotene dosage."